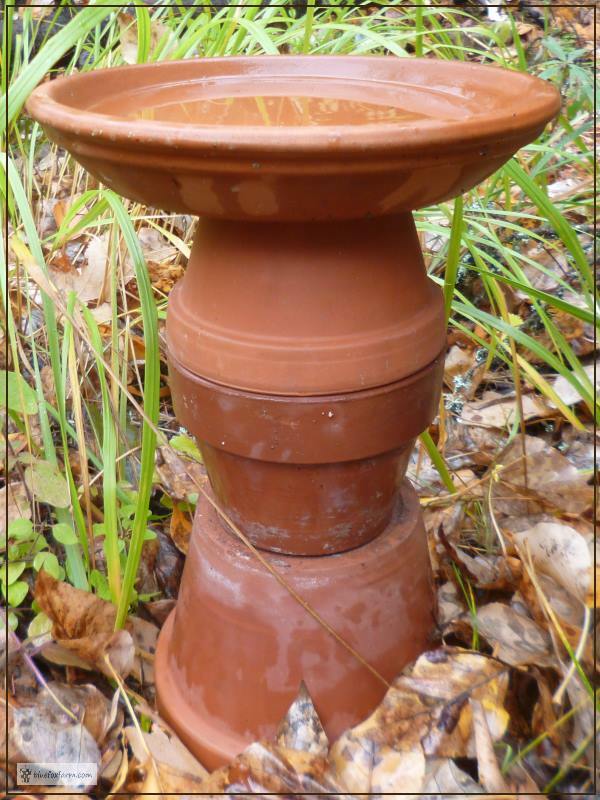 There's something so old fashioned and nostalgia making about terra cotta clay pots - make some garden art for the birds with a Clay Pot Bird Bath. There are a million and one different kinds of clay pots. This bird bath uses several sizes and shapes, and it's easy to make by simply stacking the ones you like on top of each other, topping it with a shallow plant pot saucer. 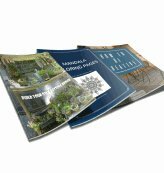 You can glue them together for a more permanent structure, or leave them not attached to make it easy to reconfigure it or move it to another spot in the garden. I've been collecting clay pots for a long time, so I have lots to choose from for the base. The top has to be shallow so the birds can fluff their feathers in the water and get them all wet - that's the whole point after all. You don't want it too deep, or too steep so smaller birds are at risk of getting stuck in it, and it should be wide enough and have good footing so they don't slip. Nothing scares birds more than feeling in danger, and you run the risk of them shying away from it. Choose from a variety of sizes of clay pots and clay plant saucers from Amazon. 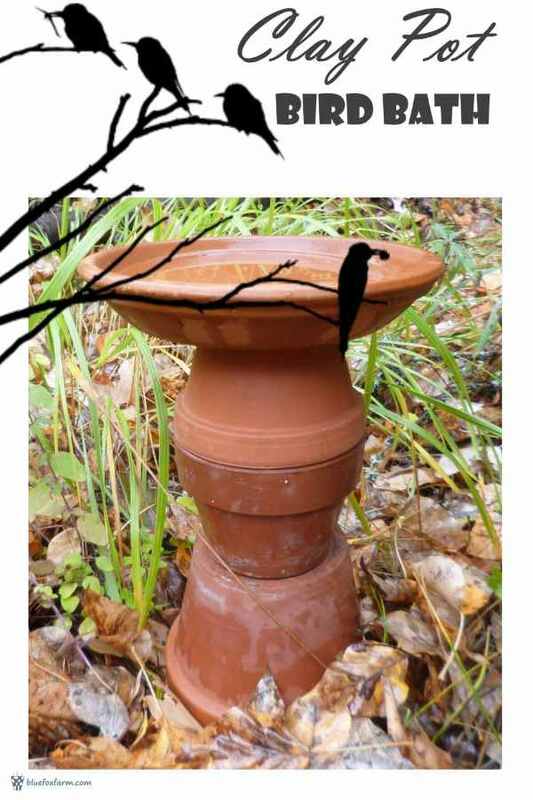 If you're planning on leaving your bird bath out for the winter, the water will freeze and possibly crack the pot. To keep the water from freezing, get a bird bath heater and give your birds access to the bird bath all winter long. I've heard so much about E6000 Craft Adhesive that I absolutely have to try it. Although I haven't trialed it, other reputable crafters have, and given it the green light, so I've added it to the list. Get the clear type of Loctite 2 In 1 Seal and Bond Clear Tub/Tile Sealant which is pretty much invisible once it's cured, and it's sturdy enough for all weather use. Although I haven't tried it yet, Amazing GOOP 160012 Automotive Adhesive is on my list to test. 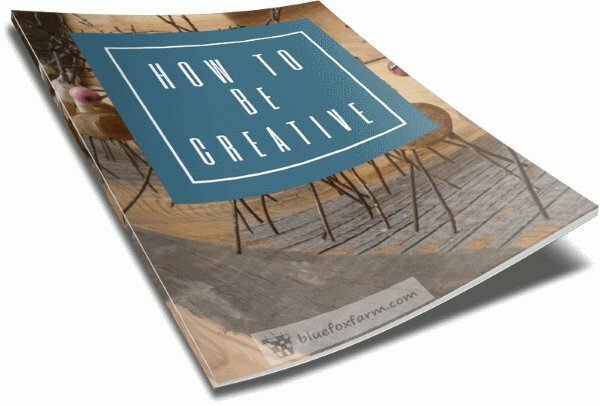 You may find your own favorite type of adhesive - share it in the comments below and I'll add it to the list. Place the bird bath near some twiggy bushes or shorter trees so they can quickly fly up into them to preen, and make sure that they won't just be lunch for a cat. Stack the lower part with several mid to large sized pots. Then add a shallow saucer on top. Make sure you clean it out often to get rid of algae or dead leaves. If the saucer is deeper than an inch or two, place some pebbles or larger stones in the bottom to make sure smaller birds can get out of the water easily. Place your bird bath near some twiggy trees, or place a branch nearby to give them somewhere to shake off the water, scope out the safety of the bird bath and to preen their feathers. Make sure there is no cat-concealing shrubbery nearby. That would be sad to give the migratory birds and songbirds somewhere to bathe, only to set them up to be lunch for a feline.